Sensei Joshua White, has been practicing judo since the age of four. A champion from an early age, he’s competed in hundreds tournaments around the country and the world. 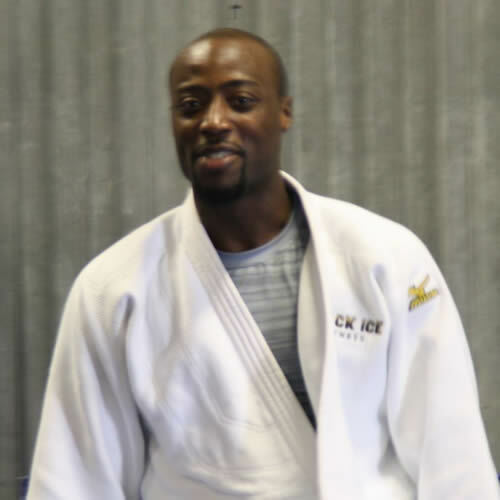 He is a 2nd degree black belt and has been ranked in the top 10 in the country by USA Judo (81kg) for the past ten years. He is currently ranked 1st in the country in the Open division. In addition to his instruction in judo, Joshua also teaches karate, boxing, kickboxing, grappling, and MMA. In his early judo career, Josh trained under Sensei Stephen Alphabet out of the W. W. Woolfolk Boys & Girls Club. Too small to pass the physical requirements test he was denied a place on the team. Josh persevered and returned almost every day for weeks until he was able to secure his place. During these formative years, Josh traveled to and won such major tournaments as: the Junior Olympics, the USJF Championships, the USJA Championships, and the Junior Internationals/U.S. Open. When a freshman in high school, Josh competed in the High School Judo National Championships. After winning a bronze, he decided to put judo aside and focus on basketball and became a four-year varsity letterman, leading his team to the state finals three years in a row. His senior year, on a casual visit to his old dojo, Josh was convinced to compete in High School Judo Nationals again. This time he won the gold. Josh continued his basketball career in college, where he played basketball for Wallace State Community College and earned his Associates degree in Political Science and General Studies. While at Wallace State Joshua helped his team win the conference championship and finish fifth at the national tournament. In 2011, Josh returned to judo. He was determined to make his mark and become nationally ranked. He worked his way up the from 11th to 8th to 5th on the national point roster while training with Richard Trammell and former Olympian Leo White. While training under Richard Trammell, three-time Shidokan (karate, kickboxing, MMA) world champion, Josh began to compete in karate, kickboxing, and MMA. In 2010, Josh was invited to represent the U.S.A. in an amateur world MMA tournament as a member of Team USA.